Big pieces help this quilt go together fast. I assemble the quilt top, add the appliqué and then I sandwich my top, batting and backing together and do the satin or zigzag stitch around the appliqué. It becomes my quilting as I sew down the appliqué, saving me time and letting me get the quilt done in time for the baby shower. 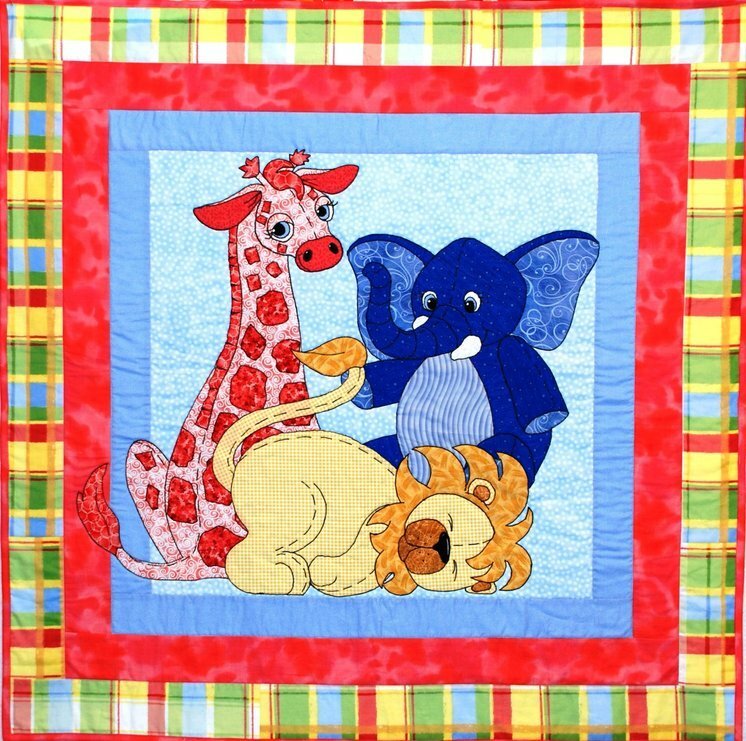 Be one of the first to tame your savage beast with this adorable quilt. The quilt is approximately 46"X46"